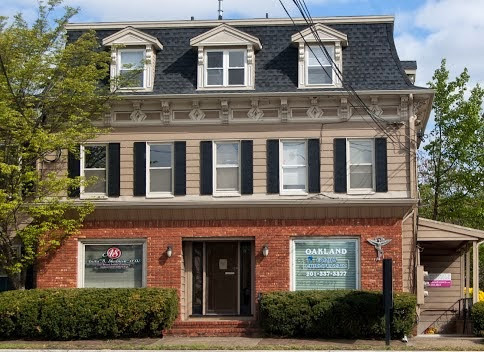 Thank you for visiting the website of Oakland Chiropractor Dr. Darren Hartung and Oakland Family Chiropractic - a professional Oakland chiropractic clinic. In practice as well as online, Oakland New Jersey 07436 chiropractor Dr. Hartung strives for excellence through superior patient treatment, education and satisfaction. To provide the community with a natural, painless, drugless, and non-surgical approach to better health. To help the athlete perform better, the elderly feel younger, children to grow up healthier, and the sick regain their health. To provide every patient with exceptional care regardless of their financial status. To instill in every patient the knowledge that the central nervous system controls and maintains every system and function of the body and that the health of the central nervous system directly reflects the health of the whole being. Who can be a patient in Oakland Family Chiropractic? The answer to this question is simple: anyone with a spine. Everyone has a misalignment(s) of the vertebrae in their spinal column at one time or another and can truly benefit from our services. Our primary focus is on you the patient. Please arrange to be checked out to see if you or your family members have any spinal misalignment's/subluxations. We hope you enjoy the information within and share it with others. Again, thank you for visiting www.oaklandnjchiropractor.com and remember to come back often.